Moment, as perfect as this one, is almost impossible to recreate when staying in hotel. Sailing is no longer hobby of salty sailors and the elite. Today, sailing vacations are becoming more popular among travellers with families, and are rapidly gaining more demand than your regular old hotel stay. There are a number of reasons why sailing holidays are attracting people from all over the world. Sailing holiday is the only vacation that combines the charm of the country’s mainland with white sandy beaches, crystal clear waters, and the ability to cruise through stunning coastal towns, islands and bays on your own time. When you are sailing you can get in touch with your inner child and begin to explore the world around you. 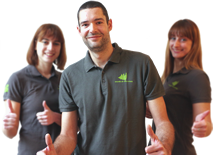 You are not bounded by tour guides, deadlines or stuck in some boring resort or hotel. Each day is a new adventure and the possibilities on open water are endless. Sailing gives you and your family a complete experience that can never be achieved while in hotel or apartments. You are free to enjoy the stuff you like: visit hidden bays and beaches, explore mainland, set sail to a new harbour, bay or cove each day. You can also explore historical towns, their history and enjoy the best cousine each destination has to offer. Want to stay an day extra or get away from the crowd? No problem. There is no need to worry about extra hotel charges. 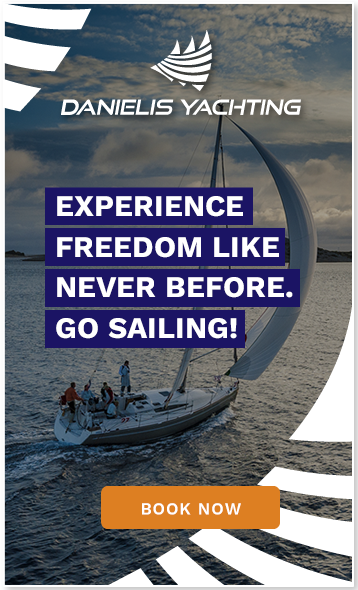 You are not bound by time or need to feel any pressure because sailing is truly one of the most flexible holiday adventures out there. Croatia is surely beautiful, but exploring Adriatic coast while sailing will give you the most beautiful view and the most spectacular experience of Croatia that you can imagine. From your yacht every destination you visit will take on its most beautiful and most impressive form. One tip: when sailing along the coast, explore both towns and new beaches, bays or coves everyday. Imagine the thrill of exploring the Croatian islands by sea. You can spend every afternoon on a new beach and spend every night in a different location. Believe us, nothing beats traveling by sea and gazing across the ocean just to catch a glimpse of your next destination. Relax, set sail and admire the stunning scenery of your next destination! Which do you find more appealing: spending your days cruising from island to island, diving into clear Adriatic sea and sunbathing on the deck, or lugging your bags through hot and sweaty public transport, hiring rental cars and each day having to pack and repack your already bulging suitcase? Sailing on a yacht will also give you and your family the ultimate privacy. Within crowded hotels you will rarely find a place where you and your loved ones will get to be alone and enjoy your privacy besides your hotel room. But, the sea isn’t crowded, and when you sail on your own yacht you have the privacy to do anything you want. You can choose to sleep on deck, gazing up at the starry night sky, or head to a secluded cove for a picnic lunch. But when you do feel like enjoying the company of others, you can anchor at a stunning harbour and experience the local restaurants and nightlife before returning to your comfortable home on the water. Chartering a yacht and sailing is a completely relaxing experience, and each day you’ll feel glamorous, comfortable and totally carefree. When people first hear about sailing, the first thing that usually comet in mind is „luxury“. But the truth is far away from that. One of the major reasons why 20 million people booked boats last year is that they are excellent value for money. Renting a boat or a yacht has never been more affordable. During the high seasons, hotels are extremely expensive so if you are going on a summer vacation with your family and friends the cost of sailing will be significantly less and it will give you a brand new experience without any hidden costs, compared to the travelling on mainland. Your accommodation, food, drink, entertainment and shore excursions are mostly all taken care off. And since food and activities tend to be the largest expenses when you’re traveling, sailing offer the most complete experience for families wanting to take holidays together. Lets take a look at one example - if you’re planning on sailing in Split, Croatia, hiring a boat will cost you around €1,138 per week. There’s room for seven people on this boat, so when you divide the total by seven the cost drops to just €23 per person per day. Cheaper than you thought, right? Check the boat listings on Danielis Yachting to see how cost-effective it really is. Choose from a diverse range of saling boats, yachts and other accommodation options to suit your needs and budget. The location is something the most people have trouble choosing. We are here to convince you that Croatia should be your number one choice. The Adriatic coast of Croatia is also known as ‘The Coast of A Thousand Islands’ and it’s a favorite flotilla holiday destination. Croatia is often called the 'new Greece', the 'new Riviera' and the 'new Tuscany' and it’s pleasures are more timeless than trendsetting. The sun shines brilliantly on the crystalline Adriatic, which gently laps a 1778km coast and no fewer than 1185 islands. That’s a lot of coastline to explore, and there’s no better way to do this than to sail it. If you choose sailing holidays in Croatia, you can visit several islands in a short time period and explore them during your journey. So, whether you are looking for the isolated beaches, great architecture, want to explore the Croatia’s culture or just have fun, you won’t be disappointed. The most popular place to dock is the hoity-toity island of Hvar, flush with well-heeled yachties, but you should also set sail for hidden coves, traditional fishing villages and more remote island groups like Kornati or Elafiti. Moreover, with crystal clear sea and beautiful beaches, you’ll certainly spend the most beautiful moments in your life. With all these benefits, sailing in Croatia can truly provide an excellent experience and unforgettable moments. 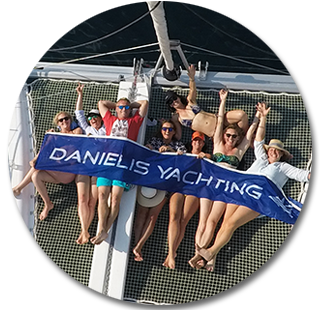 Visit Danielis Yachting or contact us to start your summer vacation! Previous articleLooking for Adventure? Visit Omiš, a Famous Pirate Town!